Winter break is such a wonderful time to sit down and create art with your adorable children. Coloring books and crayons are a low-cost bundle of fun, and I’d like to show you a couple of ways to use them to their utmost potential. Even if you don’t have school-aged children/grandchildren, you can still enjoy this timeless craft and share your little works of art with your loved ones. Color and embrace your inner child! You can cut out images from your coloring book pages and use them as accents. Many times words are included and can be used as a sentiment. This is a wonderful, quick gift idea. Mat your page and create a door hanger for a child’s room. Or create a “welcome sign” for someone’s front door. It’s best to use clear glue when adhering coloring book pages to your project (I used Ranger’s Glossy Accents). You need to be careful that the adhesive doesn’t show through since the paper is so delicately thin. When cutting out images from coloring book pages, be careful and take your time. Most scissors will glide through the paper with so much ease that you could easily ruin your image. It’s like cutting tissue paper, so cut with caution. There are many free coloring pages available on the web. Just do a simple search for “free coloring book pages” and you can print them out as many times as you wish. You can also print them onto patterned paper and paper piece. You can scan a coloring book page and print it so that it won’t have the other image on the opposite side. Plus, you can print onto a heavy weight paper for easier cutting. Frame your child’s art and give it as a gift. Coloring Pages from Crayola is where you will find fun activities, as well as coloring pages that you can enjoy with your kids. Use a light box and trace the image for a hand-drawn look. Print a bunch of coloring book images, bind the pages together and give them as a gift along with some crayons and markers. Enjoy the magic of coloring with your kids. I’m sure that it will be a rewarding experience for all of you! P.S. As my gift to you, I’d like to give away three of my Holiday Cards & More, Volume 4 designs to one lucky winner! Leave a comment telling me your favorite color in the crayon box. All comments must be received by midnight (MDT) on Saturday, Dec. 26. One lucky winner will take home all three of these cards! It’s obscure, but my favorite color (in the big box) is cerulean, in the blue family. LOVE IT!!! my favourite is white, i still like to take construction paper and draw a winter scene! What a neat idea – my favorite color is any shade of blue – I love them all! 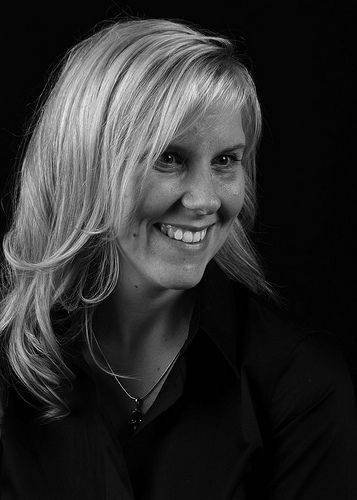 when i was small, i always outlined everything in black–so black was in every creation–so i pick black! I like the different shades of green. Thanks for a chance to win. First I want to tell you thanks for such a great idea. I never would have thought to use coloring book pages in my scrapbooking/cardmaking. As for my favorite color in the crayon box – that’s a hard one for me simply because I’m a black and brown kinda person. Look in my closet and it’s about all I own. When coloring though I’d have to say anything in the blue family. There’s just something calming about shades of blue. My favorite color in the box is red, but don’t you just love the name “Burnt Sienna?” I always loved that one! My absolute favorite crayon color is Cerulean!!!!!!!! My favorite color is blue–any of the blue shades. Red is my favorite color. My closet is a sea of red. I love the idea of making coloring books for the kids…sounds like a stocking stuffer to me. Merry Christmas. Definately pink! I have loved pink as long as I can remember! Cerulean for me … thanks for the chance to win. Just thinking of crayon boxes brings back warm childhood memories. I loved coloring then, but I don’t do it often in my papercrafting now. My kids do love it right now, though! Gee I have so many colors I like from the box. Do I have to choose just one? Well, I am not going to. My fav colors are purple, peach, and dark green. I am also leaning towards orange these days at least in my kids clothes. I just love color but my favorite has always been sky blue. Great projects! My favorite color in the box has been burnt sienna, but any blue color is great, too. I love that Kiss card with the pearl covered mistletoe. My favorite color in the crayon box would be red. Ooh this is a tough choice. I remember as a child I’d always go for this one crayon called “Blue Green”. Thank you for the tips on using coloring books! My daughter has a ton and I love seeing images and thinking, I could use this design in my scrapbooking… now I can!! Red. Always has been, always will be! These are really cute projects! My favorite: burnt sienna, hands down, but I really miss red-orange (not orange-red, mind you, but red-orange) and cadet blue. Oh, I love coloring and coloring books so much! Love your ideas, I already had my lil 18 month old start coloring on cards. I think thats a great idea for a column in a future. How to get your children involved in papercrafting. There are tons of projects where the lil kids and the big kids can help out. My favorite is sky blue. My favorite crayon color is white. Love to use it for the resist technique where you stamp an image and color over parts of it with the white crayon. Then brayer over the crayoned area with colored dye inks and the white crayon will resist the color. Just wipe off the beaded ink with a tissue and your project is done. I really like Razzmatazz & Pacific Blue! Love the door hanger – super cute! Very cute ideas! 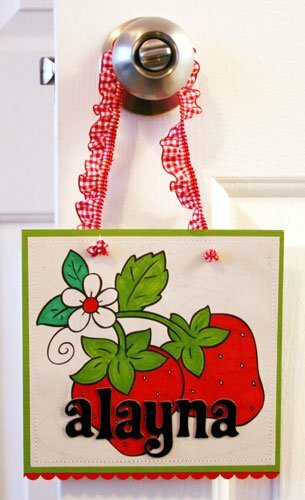 I love the door hanging project with the strawberries. My girls will love to help with these projects! My favorite crayon is ORANGE. I love the cards! My favorite color in the crayon box is purple. I love just plain old brown…you can use it in so many different ways (coloring, shading, etc.). I love all of your ideas for using coloring book pages! Thanks for sharing!! It’a a toss up between Carnation Pink or Periwinkle. Sky blue is up there too. But today, I’ll say Lemon Yellow!!! Having lived in the southwest for many years, I must say I love all colors navajo … terra cotta is my favorite color. I like to use crayons for a “resist” technique on my cards. And I’ve never stay inside the lines. Happy Holidays everyone! I’m a plain kinda girl. My all-time favorite is the classic blue. Would be pink…I am a pink girl all the way. 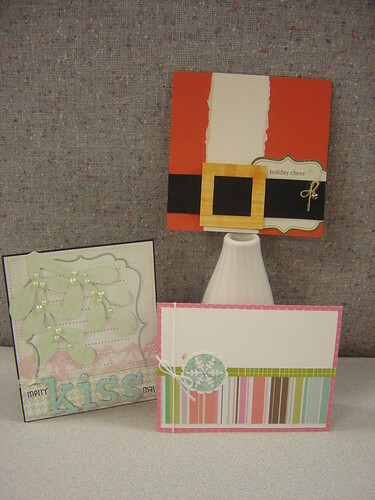 love these cards/projects! my fave crayons are the cerulean and goldenrod colors. I love green blue– it is such a yummy shade of blue! I used it a ton when I was a kid. Very cute! My favorite color is celadon. Red is my favorite color in the crayon box, followed closely by purple and blue. MERRY CHRISTMAS! And my favorite crayon in the box is carnation. my son has no real intrest in coloring a real problem in kindergarten cause they want him to color in things and he wants to just scribble and be done. Me i love to color in my stamp images my friends are like that takes to much time but i enjoy it so it not a waste to me. I hope he enjoys to color one day. love your cards. I love blue! Coloring can be so relaxing. I like to take my stamped images on trips and color them in my leisure time. It saves time when I need a quick card for a special event! It’s got to be blue—there’s so much I can do with it, whether it’s a watercolor pencil or a copic marker. My favorite color is red!!! I love the santa suit card, maybe cuz it’s red??!! my fave is blue! my daughter loves to color! I love celadine, a whitened pale green from the pottery of ancient China. It’s a color that inspires me and makes me feel calm. Always loved the purple shades. Oh, my favorite is sea green! I especially loved to color with it and sky blue and thistle! For a special touch, I would throw in a little carnation! It’s so funny to think that I remember all of those names, especially now that I think of color in terms of stamp pad names! My favorite color is any shade of pink or aqua. I love both! Very cute! My fave. color is orange! Cerulean is one of my favorite shades of my favorite color- blue! I’ve also benn partial to turquoise since I was 7 or 8. I love your ideas for using coloring book pages. I used coloring book figures (an owl) for embellishments for some of the first scrapbooks I made, 30 years ago. That was before there were printed papers and 3-D stickers and die-cuts. Every book had a theme, every picture was matted and everyone identified in the pictures. I love ALL colors but if I had to pick just one it would probably be a willow green – soft spring green with a dash of yellow. Thats what is in my family room. Thanks for the chance to win a prize! What clever ideas, I never thought of coloring book images! My favorite color was always GREEN! Everything was green–the grass, the sky, the horse, EVERYTHING, lol! Woops, I gave my answer (greens, above) on my daughter’s account. I forgot to change it to mine after she answered. Sorry. So greens are my favorite color. Ok, now I many be the only person to pick this color, but then I’m probably the only man who is crafty! I love browns. Actually, I love chocolate brown, beige, and any other colors that are related to browns. A teal blue would be my favourite colour. what beautiful cards! my favorite color in the crayola box is brick red. it is so deep and rich, it’s what i grab for first when coloring something in. My favourite colour is blue… I love to colour in outline stamped images. Thanks for the great ideas. 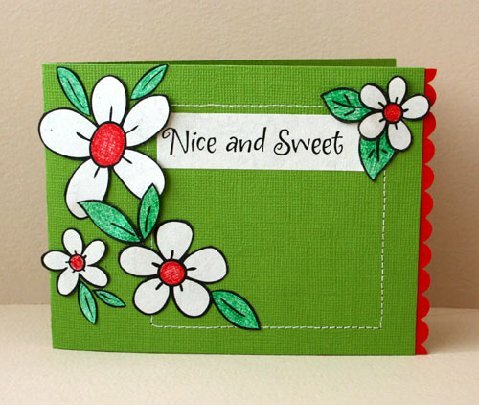 Love the look of the white whimsical flowers on the green background. My favorite color is as indesicive as I am..periwinkle. It doesn’t know if it wants to be blue or purple but it does know it wants to be beautiful. My favorite color in the crayola box is red. I would draw flowers all the time when I was little and I always colored them red. The brightest yellow I can find. It always makes me smile. I love colour, lots of colour…no pastels for me! My absolute favourite is burnt orange. My favorite color is green, it’s sometimes hard to combine, but I love the serenity of it. burnt sienna is my fav!! My favorite crayon color is Caribbean Green although i really love Pink Flamingo on a color-me-crazy day! I love pink any any shades of pink.. Boy this brings back such fun memories when I would ask Santa for the big box of 64 crayolas with the sharpener.. I can almost smell the “new crayon smell”. Love it. That is a funny question. For some reason the only color I ever remember is burnt Sienna. I even named my dog Sienna. Guess that would be my favorite. I love to color with my grandchildren. In fact, have always loved to color with crayons. My favorite color is red! I would have to say any shade of blue – especially periwinkle or teal! Thanks for the chance to win and Merry Christmas to everyone! My favorite Crayon color is Robin Egg Blue! I don’t have any crayons to give you a specific color, but it would have to be any shade of red. Just love coloring…in that aspect I never grew up :o) Thanks for the chance to win! Red, for sure. My favorite color, period. When I was little (about 3) I loved to color. But I really loved to eat them!! I have a picture ofme sitting on my Dad’s lap with a crayon in my hand heading to my mouth. I laugh everytime I see that photo. My Mom said my favorite color to eat was black!! Of course!!! I still love to color. My youngest GD and I color together all the time. I still love black btw! Can I pick all the colors? I think I love blue the most… in all shades… Fabulous coloring! Love the cute flowers with the red brads! TFS! Midnight blue! I think I need to get some of the glossy accents glue! My favorite color is any shade of pink!! cerulean, blue, light blue, dark blue, I just can’t pick one. This is a hard one- I love them all but pine green appeals to me tonight- as well as tropical rain forest! All shades of red light up my world. What a cute project to make with the little ones. Have a very Merry Christmas! When I was in preschool, I had to color in the state flag of Texas. I found the prettiest color of blue to use and colored my flag. Unfortunately, the teacher did not agree with my choice of navy blue and I had to stay in correct my error. I still think that navy blue is the prettiest. Thanks for the chance to win and hope that you have a very Merry Christmas! Purple – as in royal, true purple – is my most favorite color in the box!! Love the idea of using coloring book pages – favorite color would be red! Thanks for triggering some great memories of coloring. My favorite color was and is Magenta! My favourite colour was always indigo. Something about that rich, dark blue always inspired me – it’s still my favourite colour in my watercolour palette, and I’m a professional artist! My favorite color is green, but I have always loved spring green. It looks just like trees budding in the spring time. My favorite color has always been purple…..even to this day! Thanks for the great tips on using coloring books and crayons for paper crafting. I never would have thought of that! I have always been a fan of blue so Robins Egg Blue is my favorite from the Crayola Big Box of 64 fabulous crayons! Great door hanger and I love the idea of using coloring book pages – Thanks!